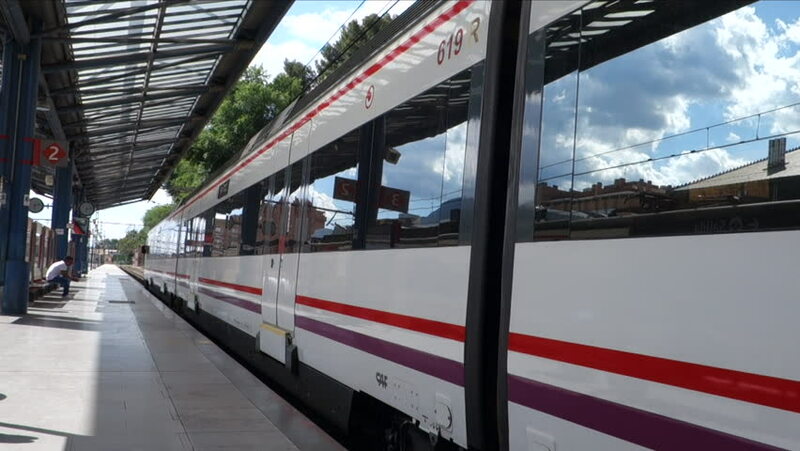 MADRID, SPAIN – JULY 1, 2018: A Renfe Civia leaves Madrid-Príncipe Pío station bound to Las Rozas station, 20 kilometre away from the capital city. hd00:10Hong Kong - May 13, 2016: Time-lapse video of Kap Shui Mun Bridge in Hong Kong. It is one of the longest cable-stayed bridges in the world that transports both road and railway traffic.